Quanitities and colors of yarn needed vary by project. 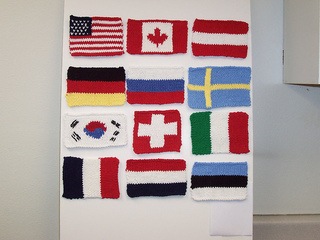 For instance, with red, white, and navy, you can create coaster flags for the USA, Canada, Austria, France, and the Netherlands. I am awaiting approval as a designer so I can set up a store and submit my pdf.